Jim Nantz, a three-time Emmy Award-winner and five-time National Sportscaster of the Year, has covered virtually every sport for the CBS Television Network since joining it in 1985. In 2007, Nantz became the first commentator in history to complete the rare broadcasting three-feat – calling the Super Bowl, the NCAA Men’s Final Four and the Masters all in a span of 63 days. In 2010, Nantz repeated the rare broadcasting trifecta beginning with his call of the most-watched program in television history (at the time of its airing), the Super Bowl between the New Orleans Saints vs. Indianapolis Colts. Peter Deutsch, has acquired more than 27 years of leadership experience building brands and directing corporate strategy for W. J. Deutsch & Sons, Ltd, a leading wine & spirits company in the US. Founded in 1981 by his father Bill Deutsch, Peter joined the family wine company in 1985. Over the years, Peter held various positions in sales and senior management before eventually being appointed CEO in 2007. Several years ago, Nantz was dining with a family friend and lawyer in Greenwich, discussing how to bring his dream of venturing into the wine business into fruition when Deutsch, who happened to be dining at the same restaurant, spotted Nantz and approached him to compliment his latest novel on his father – a work Deutsch described as “inspirational.” Deutsch said in an interview, “Here I am talking about this dream to break into the wine industry when Peter approaches the table,” said Nantz, “Little did I know, Babe Ruth walked up to the table and I had a tryout with the Yankees the next day.” As their conversations continued to develop, they both discovered that the success they found in life was greatly influenced by two factors- the role their fathers had in their life and their willingness to search for and find a calling in life. in life. For Jim, that calling was to unlock the voice that was deep within him, which led to an unparalleled career in sports broadcasting. For Peter, it was transforming a small family business into one of the most prestigious wine companies in the world. Inspired by their mentor fathers and guided by their common values, the two found a new calling: a partnership to produce hand-crafted wines that bear the standard of excellence and style that are the hallmarks of these two men. As a father who is quickly coming on on celebrating my second Father’s Day. I cannot help but think of the many values and confidence my own father instilled in me. This a fact0- Fathers play an important role in a child’s development from birth through adulthood. In fact, numerous studies have reached the same conclusion: Children with involved fathers have an advantage — socially and academically — over children with distant or no relationships with their dads. “We found that fathers who are involved with their children have children with fewer problems,” says Maureen Black, PhD, a researcher and professor of pediatrics at the University of Maryland School of Medicine. “That added involvement from a father helps children tremendously.” Specifically, her research found better language skills and fewer behavioral problems in children with an actively involved father. The story of Nantz and Deutsch’s inspirational fathers seemed great, but the skeptic in me questioned if the wine was truly deserving of the $30 price tag and the accolades. 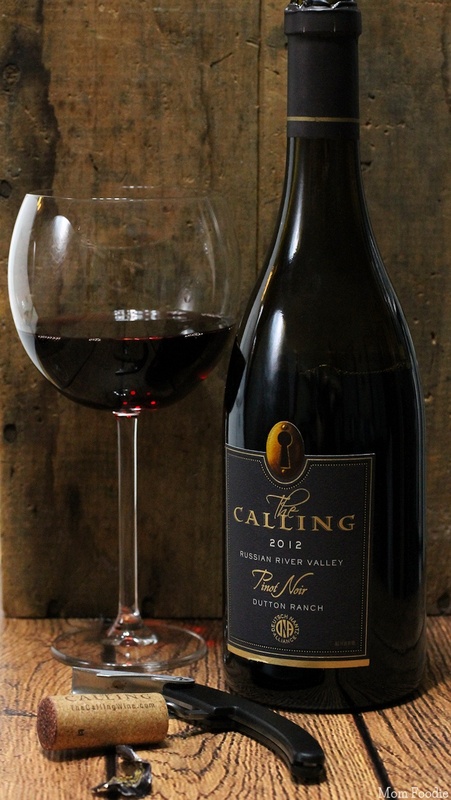 As a person who has spent considerable time traveling around the Sonoma Valley, I was excited to sample this particular Pinot Noir made with grapes sourced from Dutton Ranch Vineyard. As soon as I opened the bottle, I knew I was in for a special treat. The Pinot Noir I sampled was beautiful medium bodied wine that presented subtle notes of cherry, with complex elements of wild berry,plum, and a hint of spice. The sense of smell is the key to enjoying wine, because it allows us to perceive both aroma and many subtleties of flavor. When you smell a glass of wine, is much more than your nose at work! In fact, your olfactory membrane (which is found at the top of the nose) convert the wine molecules into signals which are transmitted to the olfactory bulb located at the base of the skull. In short, this organ enables the brain to perceive not only odors inhaled through the nostrils but also conveyed to it from the palate by way of the nasal passage at the back of the mouth. Science is fierce! The complex influences that result in a wine’s unique traits are embodied in the concept of “terroir,” a term that attempts to capture the myriad of environmental and cultural influences in growing grapes and making wine. Terroir is derived from the Latin “terre” or “territoire,” and its first modern definition appears as “a stretch of land limited by its agricultural capacity.” Make a note this term. If you drink or buy wine from a reputable store, you will hear this term. Here’s a quick history lesson- The use of terroir as a defining aspect of landscapes grew out of the traditions of the Cistercian monks in Burgundy, France, but the term was also broadly embraced by the French as an agricultural production concept tied to specific regions and numerous other crops or food products. Burgundians also used the concept to market their wine, promote tourism, affirm regional traditions and obtain a comparative advantage over other regions, leading some to see it as a centuries-old economic protection mechanism. Arguably, the single greatest standard used in assessing the quality of a wine is complexity. The more times you can return to a glass of wine and find something different in it, (like the bouquet, taste, etc.) the more complex the wine. The very greatest wines are not so much overpowering in flavor, but offer the drinker a seemingly limitless combination of elements that will continue to surprise your mouth, without fatigue.